It’s that time of the year again when we bid farewell to summer. Right about now, leaves are beginning to shed their green and nature will soon sprinkle radiant hues of red and orange on us. Kids, teenagers, and university students are preparing for the challenges the new school year brings. Content marketers? Well, we’re somewhere in between. Most of us are probably starting to set content marketing goals for the coming year, to ensure the charts point upwards and leads rain down on us like leaves in autumn. What targets did we reach and not reach? What goals should my team set for 2019? What stands in our way of achieving these goals? Do we have the tools and resources needed to meet these goals? In this article, we’ll discuss how you can meet your content marketing goals by defining the objectives of every single piece of content your team produces. We’ll also dive into how to set these goals in a way that it’s clear and easy for your team to follow and achieve. Leonardo da Vinci believed that most people lived their lives with no aim or purpose, that they simply existed and had no awareness of where they were or where they wanted to go. Sadly, the same can be said for some content marketing teams. 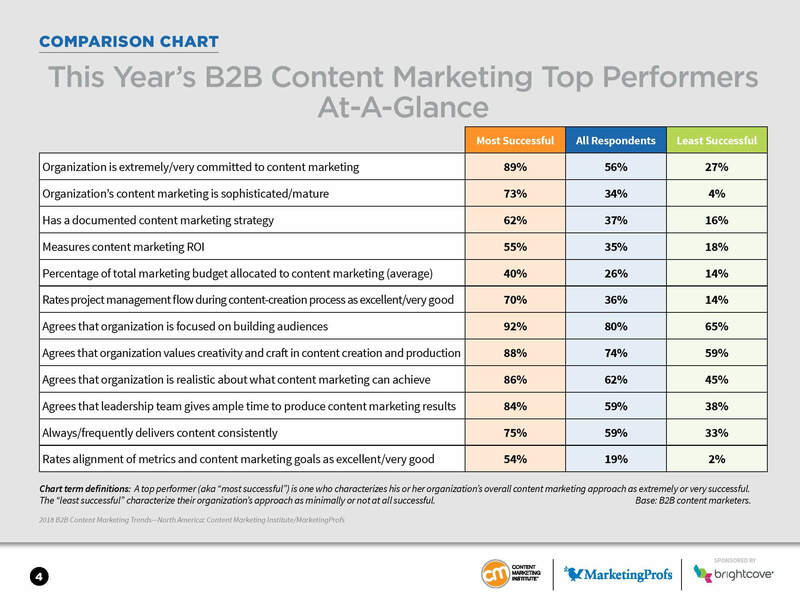 Current statistics show that 63% of B2B marketers and 60% of B2C marketers do not document their content strategies. I.e. 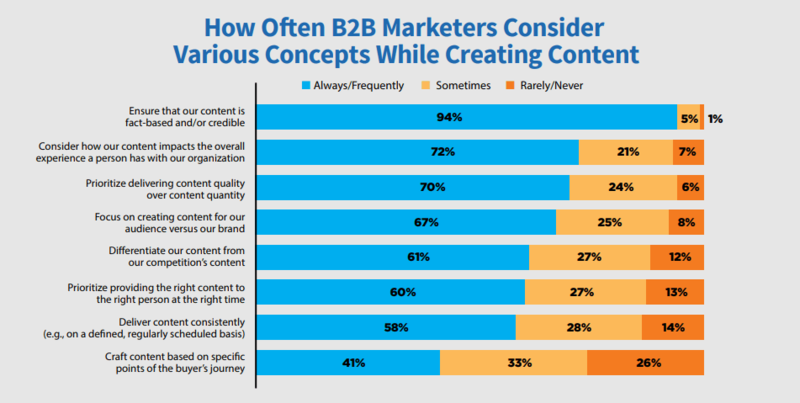 Most content marketers publish content without knowing the objectives of their content and write without knowing who they’re really writing for. But Da Vinci also believed that there should be a motive behind every action. Companies with the most successful content marketing strategies not only document their strategies but also define their objectives and lay out clear actions needed to achieve those objectives. Think of goals as guidelines that help you reach your target. They remind us, every day, of our end goal and what we have to do to reach it. To become an Olympic champion, Michael Phelps trained every single day. 7 days a week. Without fail. And it started with defining his objective — ‘Athens’ — when he was just eight years old. What are the different types of content marketing goals? Which ones are the best fit for my strategy? If you’re still unsure of the content marketing goals you should set, we recommend giving this comprehensive content marketing roadmap by Content Marketing Institute a read. If you already have a clear idea of your goals but need to either further refine them and/or come up with a strategy that’ll help you apply them to your content, read on. Treat your content marketing goals as Phelps did with his Olympic medals. To meet them, you’ll need to break these goals down into mini and more specific objectives to guide you along the way, just like Phelps did. He dedicated his time to different sets of workouts — each with its own goal: stamina, speed, muscle power, etc. If your goal is to improve rankings and increase organic traffic, produce content aimed at obtaining links, improving keyword positioning, and getting the media’s attention. Want more leads? Target the pain points of your buyer personas with lead generation content. Build credibility, and offer educational and informative resources in exchange for their contact details. When you assign multiple objectives to the same piece of content, you run the risk of not fulfilling any of them. Let’s say you’re trying to generate media mentions and increase organic traffic by positioning for a specific keyword in one piece of content. In having to include a certain keyword in your content, you may have to switch up your writing style and may, as a result, lose the angle needed to get the attention of the media. And vice versa. The result? None of your objectives is met, and you’ve wasted precious time and effort. When the time comes to evaluate goals, this can be rather demotivating and can take a morale toll on your content team. Advice for teams: If you’re managing a team of content creators, setting several objectives may result in a negative vicious cycle. Failing to meet the multiple objectives set hurts their confidence and leads to a lack of motivation. There will then come a time when they simply give up stop trying. Help them by setting just one objective and documenting everything clearly in the editorial calendar. Consider using user stories to help define your content. User stories can play an important role in achieving the objectives of each piece of content. Originally used in software development, user stories are written from the perspective of the end user. Today, they are also used in project definition. User stories are single sentences consisting of three elements: a person, an action, and an end goal. I.e. a who, a what, and a why. It helps to break your content down to just the essentials and zone in on a clear objective. As a content marketer, I want to write a blog post on ways to define the objective of each piece of content that’s the first in a series so that I can rank for the keyword “content marketing goals”. Plus, when you have various team members involved in the content production process, having user stories helps to make sure that everyone is on the same page with regards to the basic elements and approach of the piece. For example, when my co-founder and I were defining this article, both of us found the underlying concept interesting. 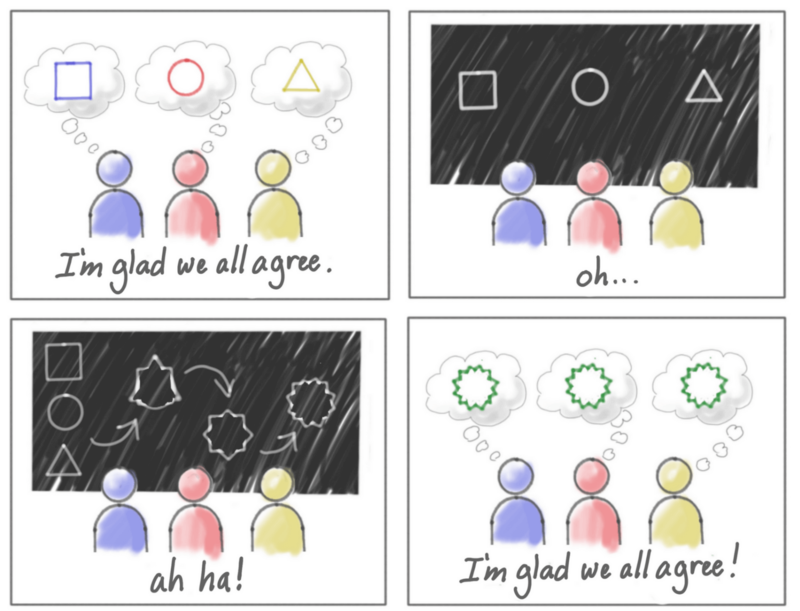 But when we started writing our user story, we realised that while we agreed on the subject, we each had our own approach. I had imagined this article as a standalone piece discussing the definition of content marketing goals and how to achieve them. But Julia had a more specific approach. Her idea was to produce a series of posts discussing content marketing goals and having each post drill down into specifics and details. Clearly, her idea prevailed. When creating your editorial calendar, one of the first steps should be to determine your target audience and angle for each content. So that when the time comes to write, there’s a clear focus and audience. Producing content aimed at the general audience ranks alongside assigning multiple objectives as one of the worst content marketing blunders. It gets you nowhere and without diving into the specifics, you lose credibility. It’s common for businesses to have more than one target audience. Even then, you should always prioritise one over the others. This way, there’s a clear angle and a higher chance of producing content that really connects with your intended target audience. 60% of B2B marketers always prioritise providing the right content to the right person at the right time. We decide on a topic, define its objective by making sure it addresses the needs of our target client(s), and brainstorm on the best angle to achieve the objective. And in addition to our editorial calendar, we have a separate document where we lay out clear definitions and aspects of each piece, including the format, objective, main keywords, target audience, and angle. Plus, having an overall view of all the specific elements of each piece helps you ensure you have a good balance of content topics, target audience, and formats! This is the first of a series of posts on how to achieve your content marketing goals. Over the next few weeks, we’ll be publishing more resources to help you make sure your content marketing goals and targets are met. Remember to watch our blog! About The Author Lin Lin's an ex-journalist who's found her new love in content marketing. In her spare time, she's on a secret conquest to find a solution to never having to cut her nails again.